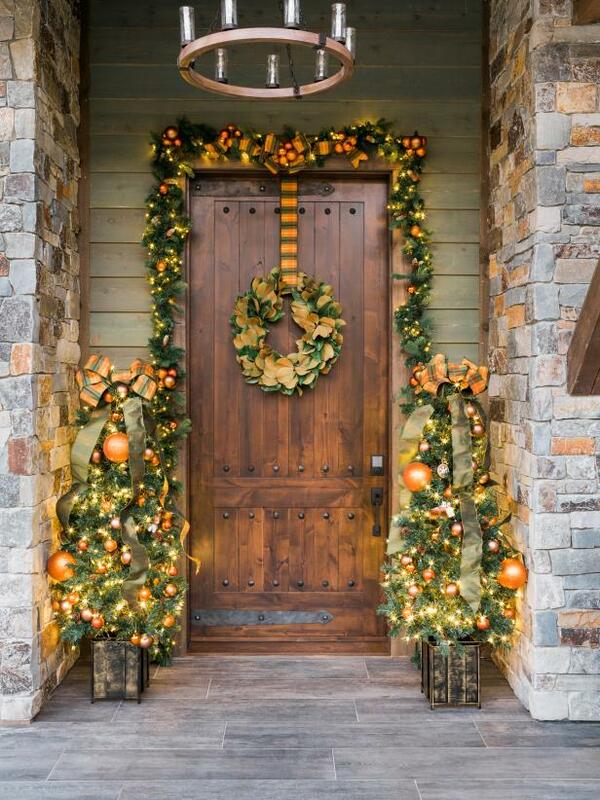 Keep your front door looking fresh all year long. Add a little modern glamour to those long (read: very short) winter days, courtesy of a wreath covered in sparkling faux snow. Add even more shimmer and shine with pearlescent baubles in blue or silver. 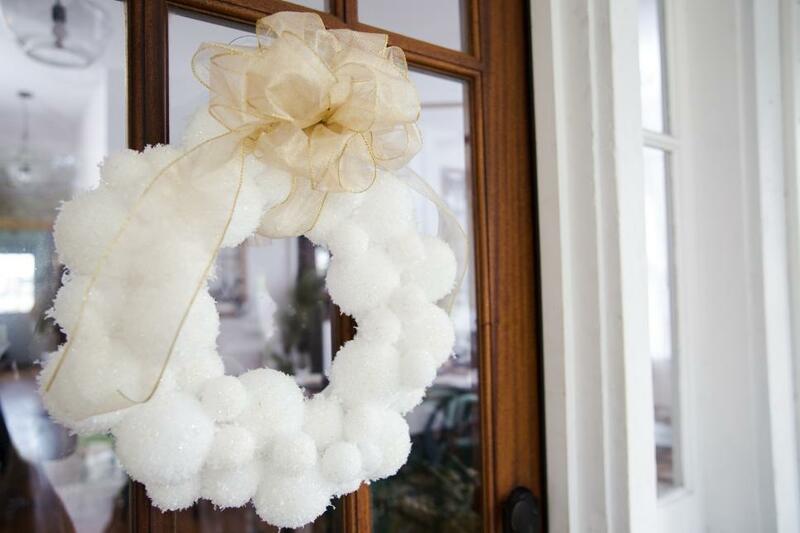 Your house may or may not be covered in snow, but this wreath makes sure your entryway is. 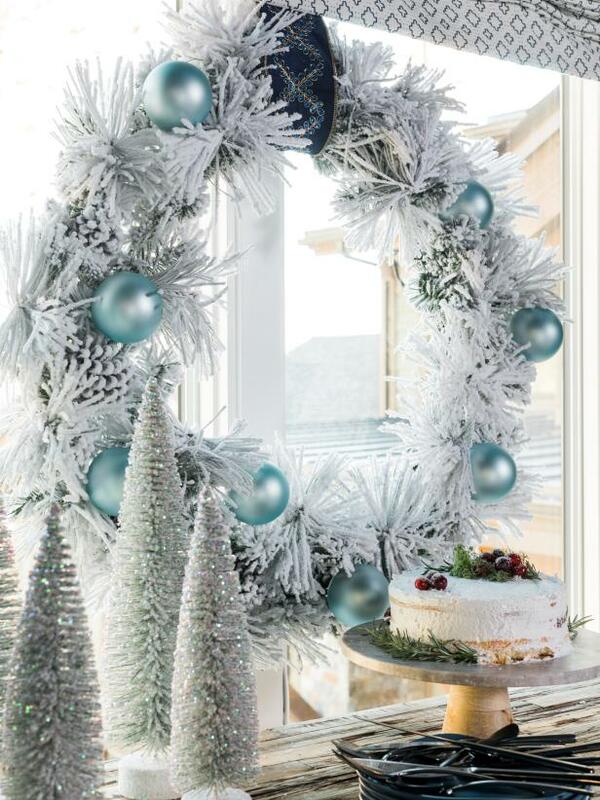 Faux snow, disco glitter and a gorgeous ribbon are all you need to make this wintery wreath a reality. 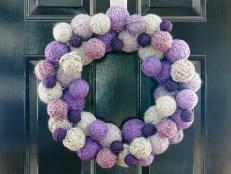 Take a note from your favorite cozy winter hats and create the pom-pom-filled wreath of your dreams. 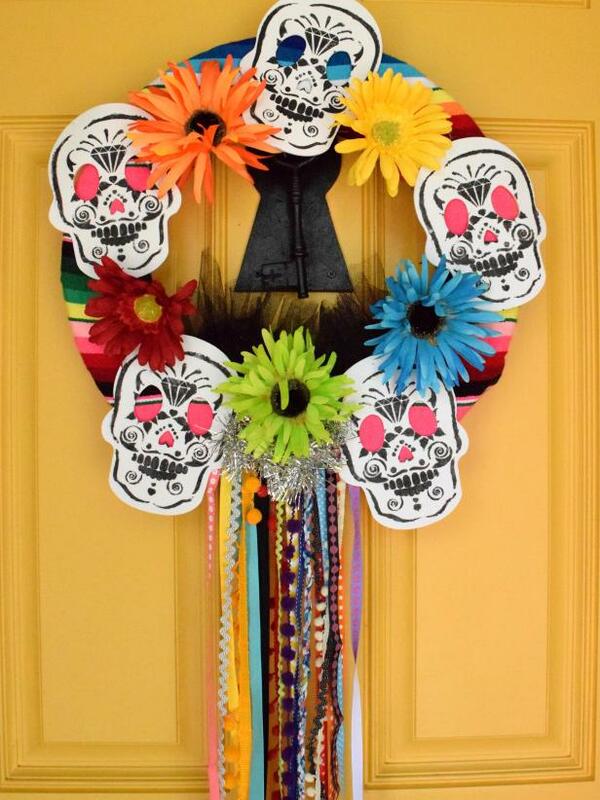 Warm colors and unique textures create the perfect door hanging for the seemingly longest month of the year. You may not be visiting NYC anytime soon, but you can bring a little bit of the city to your front stoop with a wreath. 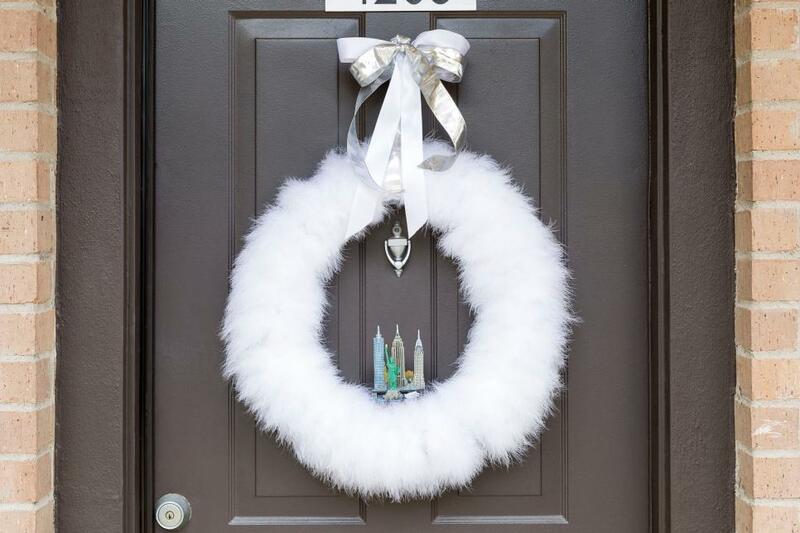 Wrap a foam form in a white feather boa, add some NYC-inspired embellishments and a ribbon, and your door will be dressed in the wonders of winter. Although the beginning of February signals a step towards spring, the cold weather keeps warm and cozy things on the mind. Therefore, a yarn-covered wreath is the perfect complement to your front door. Or, if you prefer another type of door decor, this wreath can also double as a one-of-a-kind chair swag. Can you feel the love? 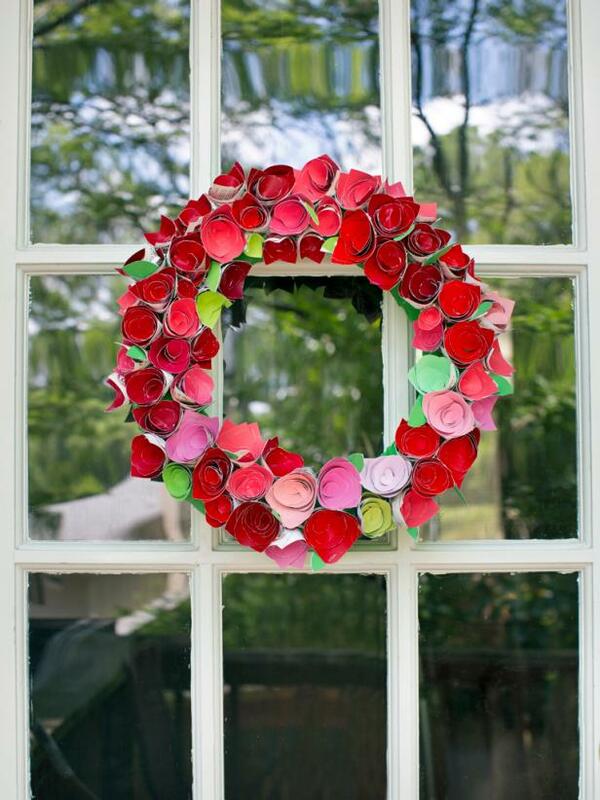 This easily DIYed wreath sets the tone for Valentine's Day. And the best part is that these faux roses are created with the help of paint sample chips—so simple and so inexpensive. 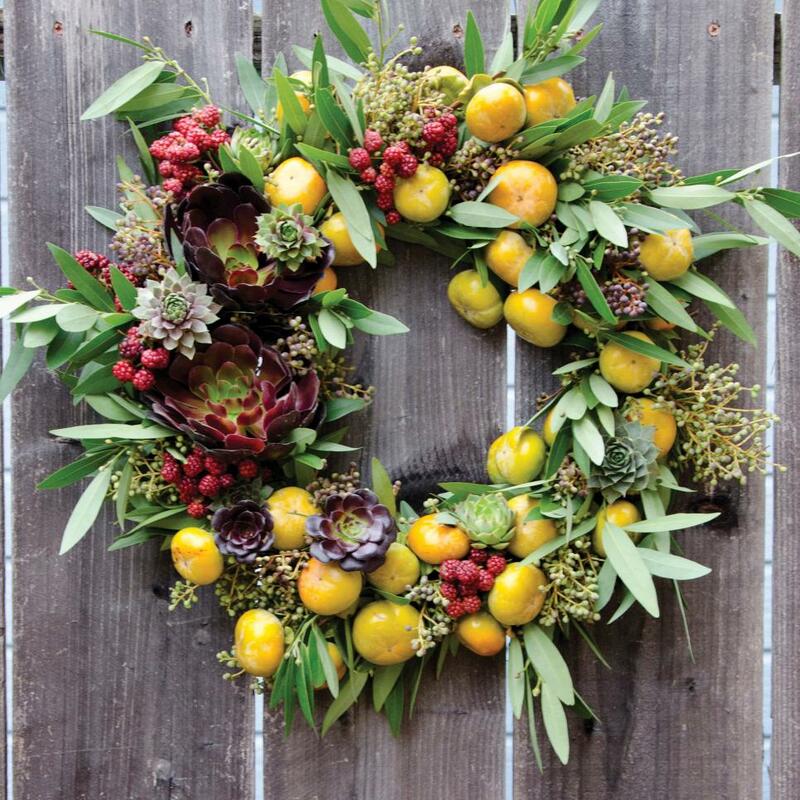 Regardless of the outside weather, bring some greenery into your life with a vibrant wreath like this one. Made simply with twigs, sprigs of greenery and some twine, this star-shaped wreath is especially perfect for those yearning for spring and warmer weather. 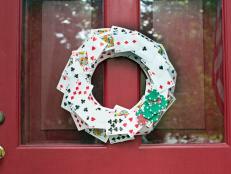 Get crafty and creative with a door hanging made of poker chips and playing cards. 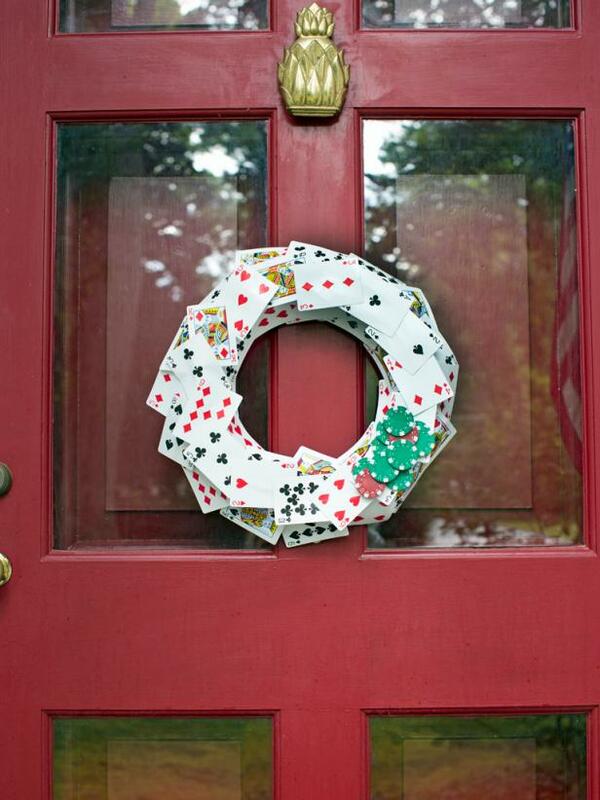 Whether or not you're hosting poker night, this wreath gives your entryway a unique look and is an ultra-simple DIY to boot. If you like something a little more dramatic, this is the wreath for you. 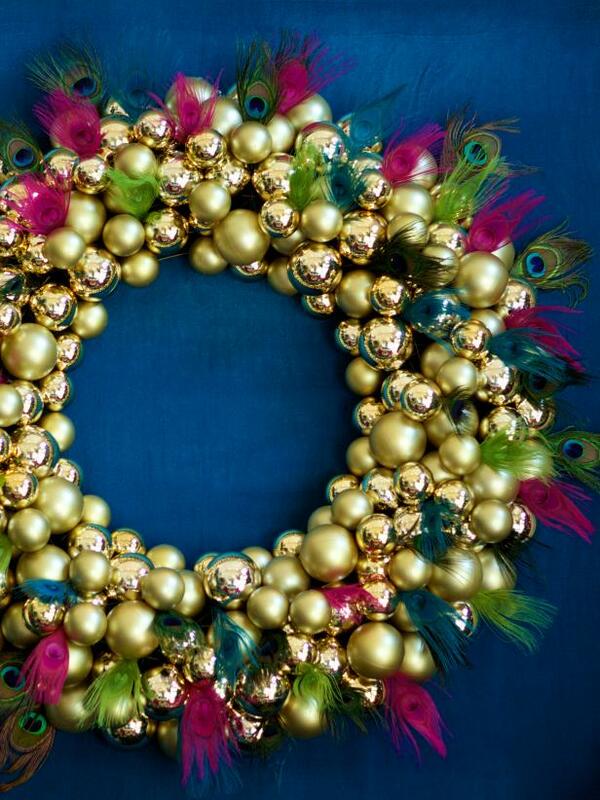 Upcycle gold Christmas ornaments and faux peacock feathers to fashion this Mardi Gras-inspired wreath. Display on your door during the big event and let your neighbors know you're ready to have a good time. 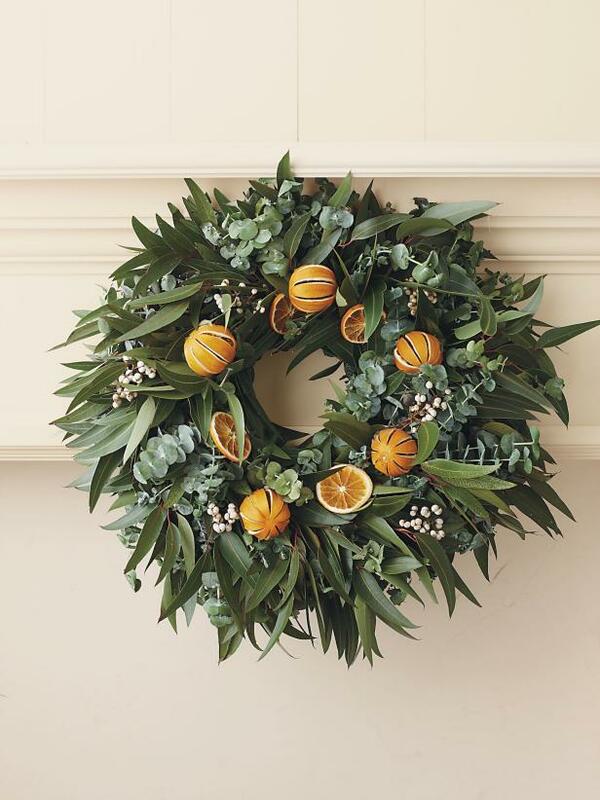 Breathe new life into your home with the help of a vibrant wreath like this one. Eucalyptus, small white berries, oranges and orange slices create a refreshing look that can transition seamlessly between seasons. 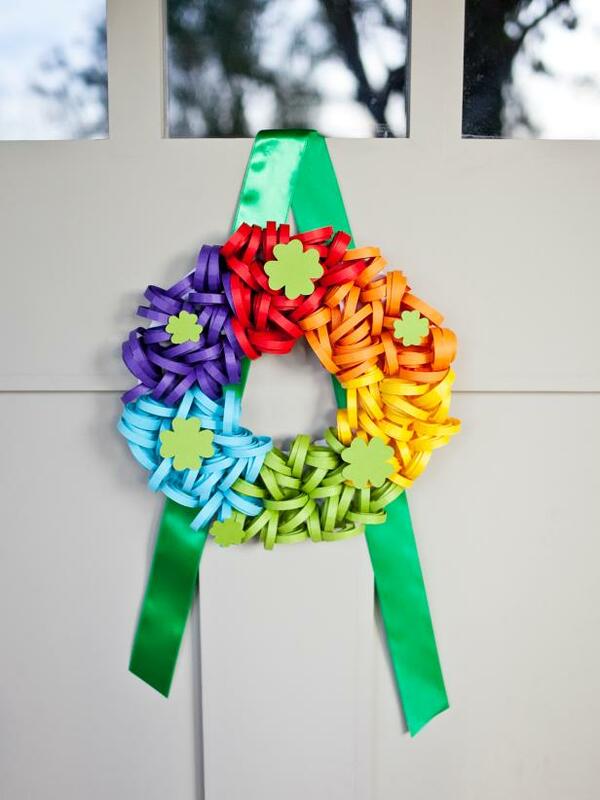 St. Patrick's Day deserves a special wreath too! Paper is about the only thing you need to create this wreath that's an absolute pot of DIY gold. Springtime can be filled with rain showers, and in some places, even snow storms! 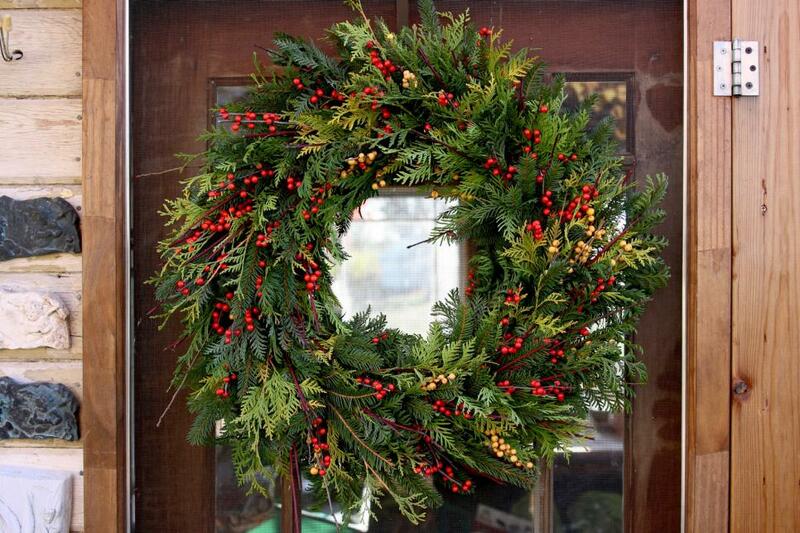 Whatever your weather, get a wreath that can withstand it all. 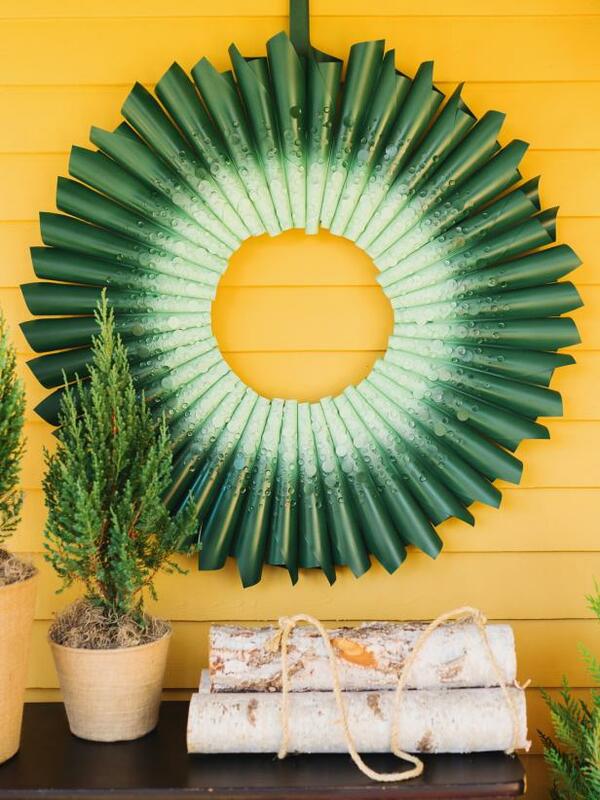 The ombre green will complement any color siding or door, and you only need minimal craft supplies to create this wreath yourself. 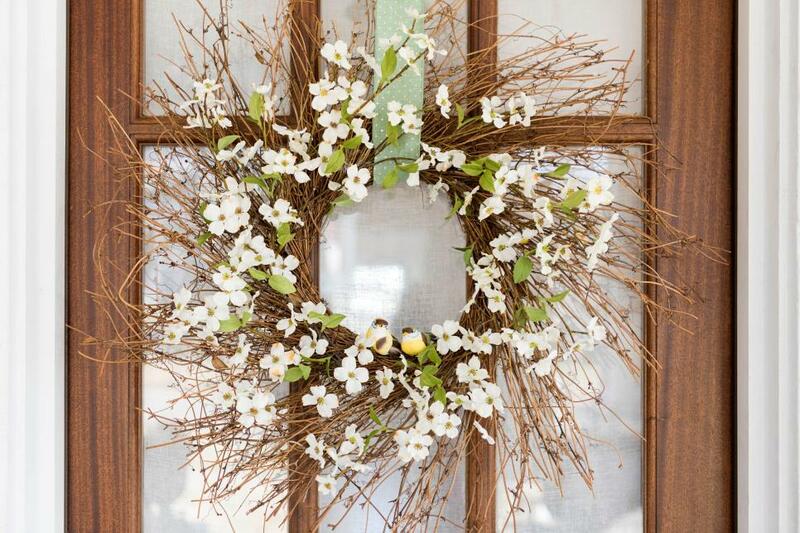 Dogwoods bloom in early spring, so what better way to celebrate the start of the season than to decorate your front door with them? A sunburst-style grapevine wreath, faux dogwood branches and a pair of faux birds create this quintessential springtime scene. Freshen up your front door with faux flowers and foliage. 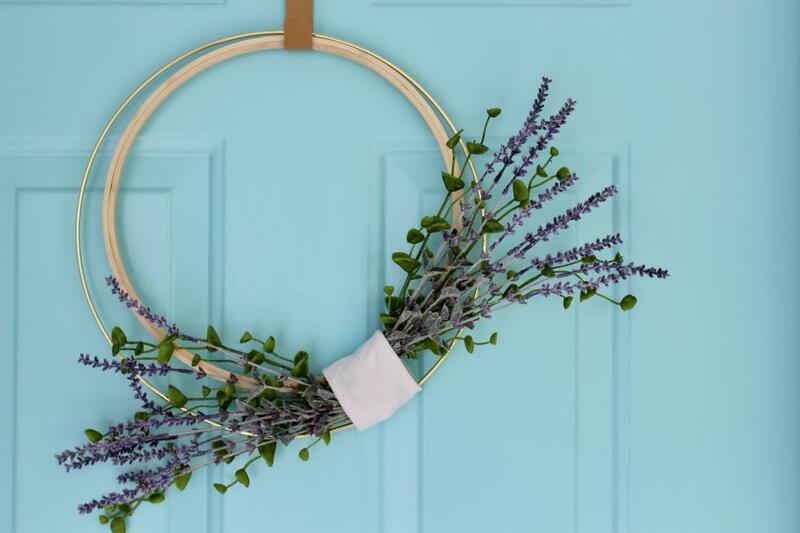 This simple DIY wreath brings the hint of spring your entryway needs this time of year. We've all heard of spring chickens, but what about spring bunnies? Give your entryway a fun, furry makeover (tail included!). 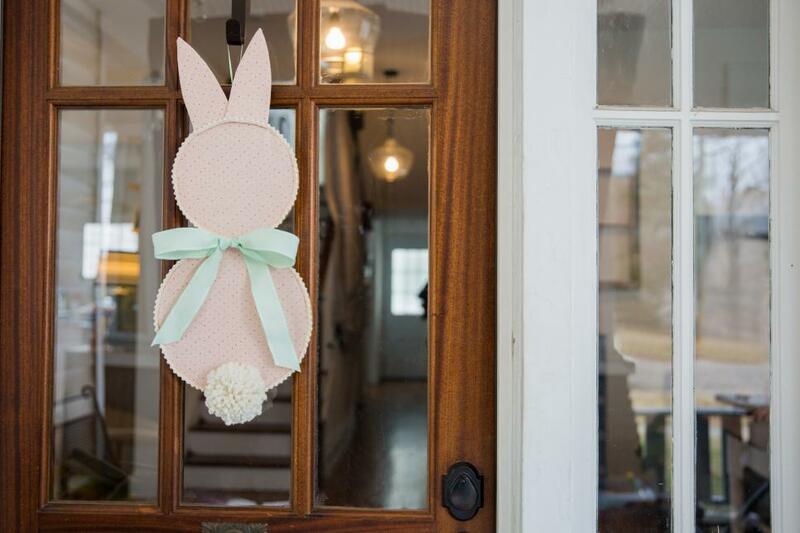 The pastel shades and sweet details ensure your door is ready for all the festivities spring will bring. There's just something about a bright green wreath that makes any front door incredibly inviting. 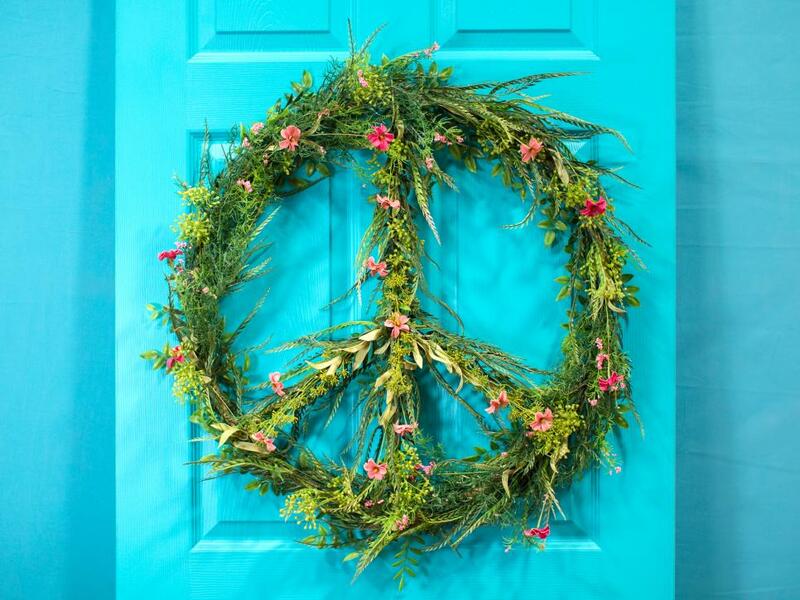 Add faux flower buds and fashion the wreath into a peace sign for the ultimate front door decoration. 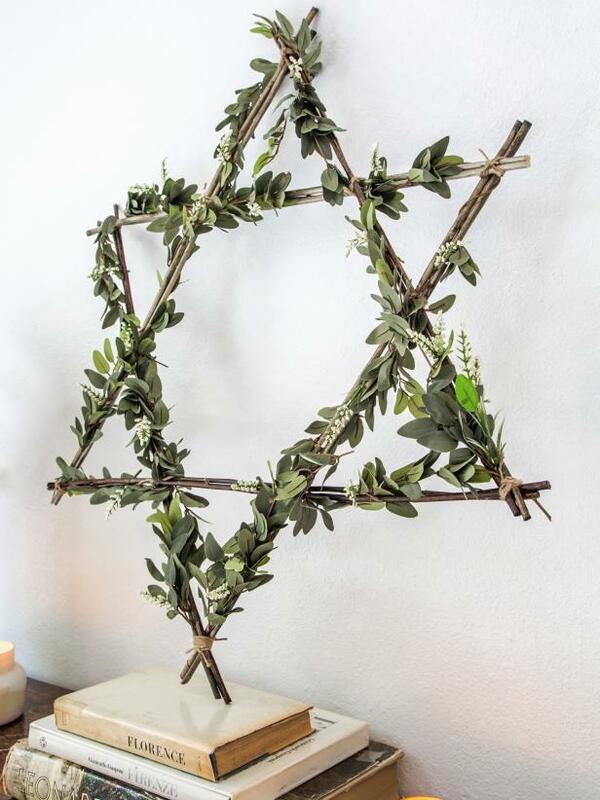 Instead of extending an olive branch to all your guests, hang an olive leaf wreath on your door as a symbol of peace and goodwill. 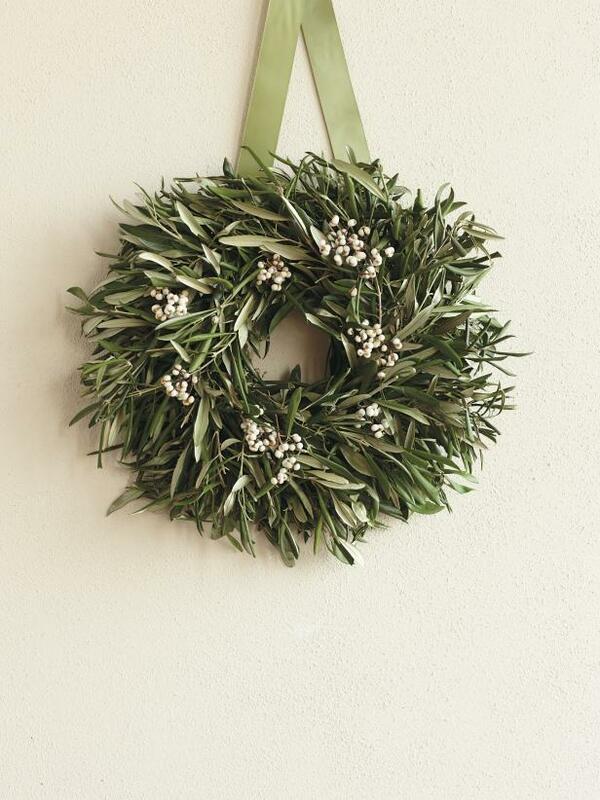 The long, lush olive leaves are complemented by the white tallow berries, creating a perfectly understated wreath. Giving your front door a fresh, spring-inspired makeover may be easier than you think. Especially with the help of a bloom-filled wreath like this one. Lamb's ear, muted florals and other bits of texture give this wreath life and movement in all the best ways. 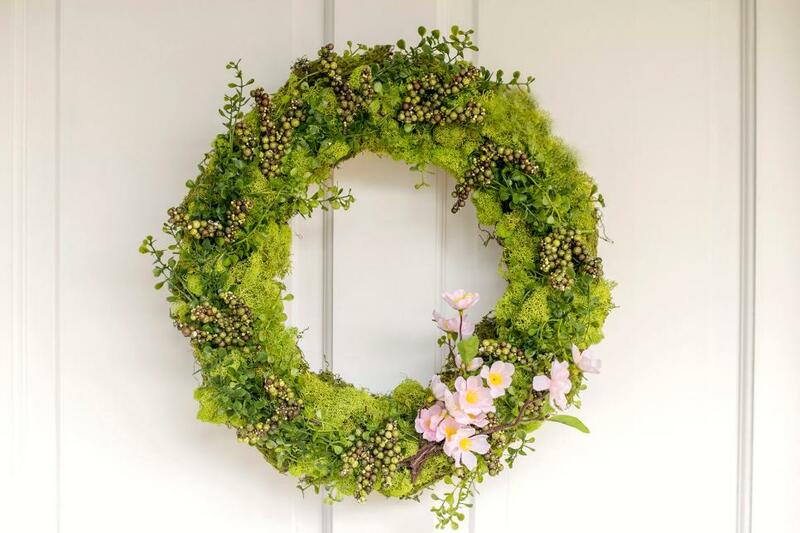 Moss, faux greenery, berries and blossoms cover this wreath form, creating a cheery door hanging that is not only perfect for spring, but will brighten an entryway in any season. 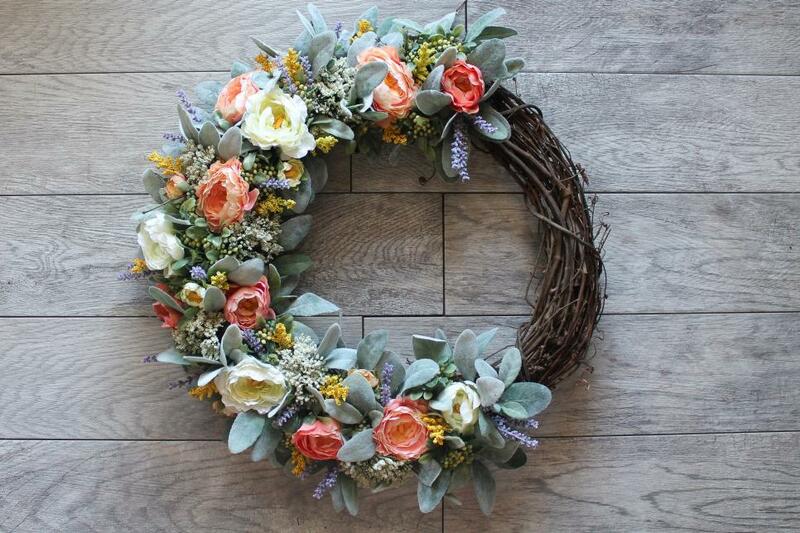 Say hello to your guests with a greeting-filled wreath like this one. Vibrant faux flowers and scattered greenery adorn the gold bare hoop. The minimalist look ensures the eye is immediately drawn to the friendly salutation sparkling in the middle. Make a super sweet first impression with the help of cupcake liners. 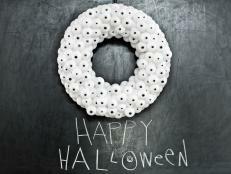 This wreath is made simply with a wreath form, cupcake liners and a few crafts supplies. And with the variety of liners available, you're bound to find a color scheme that suits you. 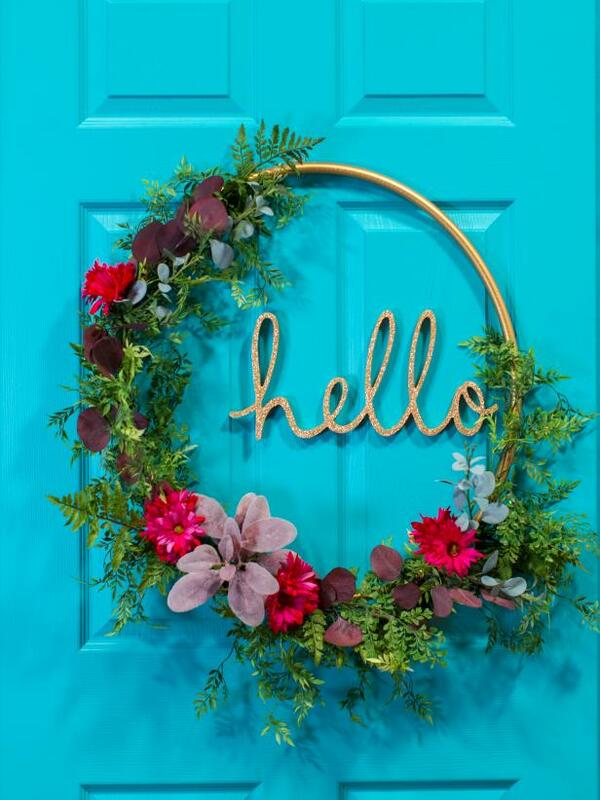 A rich brown door is the perfect backdrop for the brightly hued wreath that hangs on it. The vibrant greens, pinks and yellows create a gorgeous contrast that welcomes warmer weather in style. When it comes to summertime door decor, we're knot messing around. 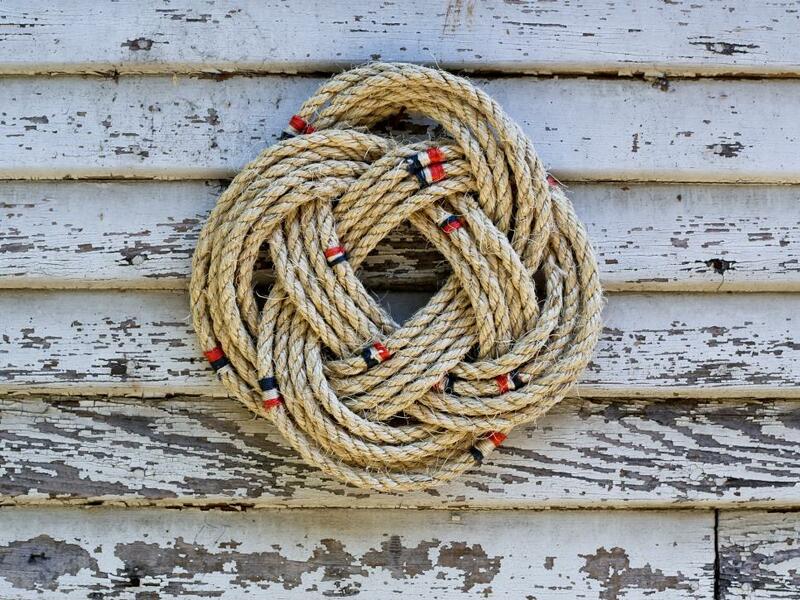 Bring a bit of the nautical into your outdoor decor with a wreath that showcases both a maritime knot and color scheme. 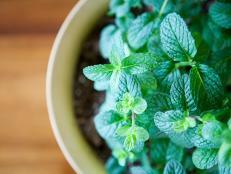 Summertime brings gorgeous fruits, vegetables and foliage. 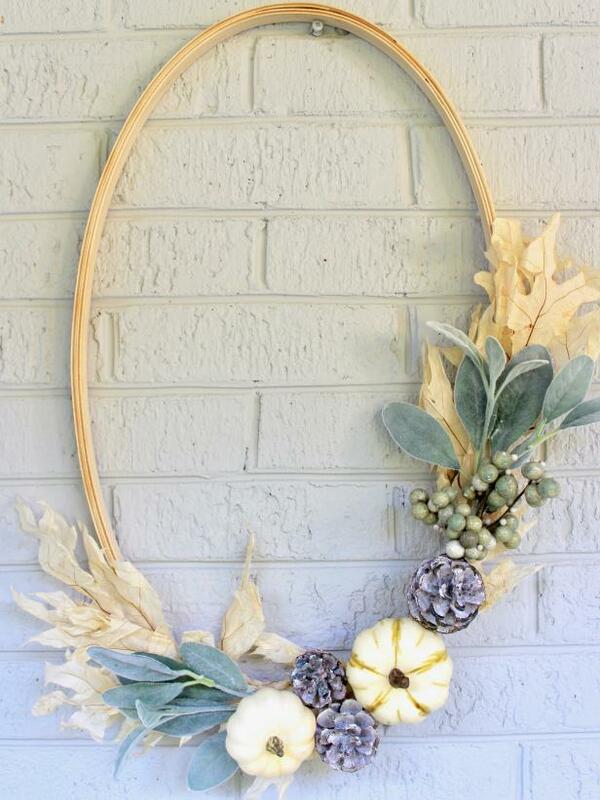 What better way to celebrate the season than to turn the harvest into a wreath. 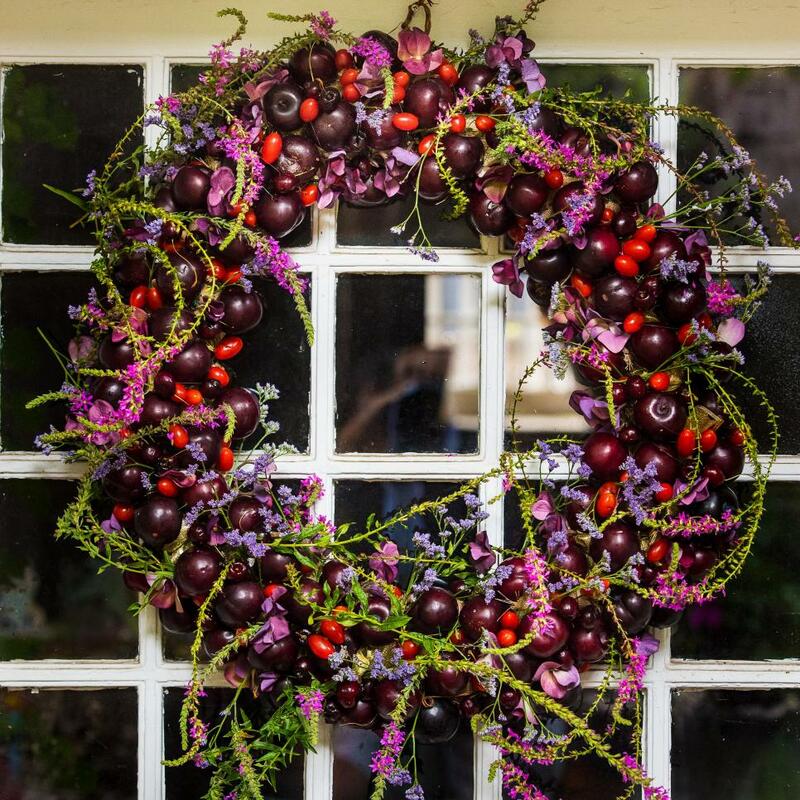 Whether you use faux foliage and fruit or the real deal, a wreath fashioned after a garden is an absolute must. Everyone loves the look of a succulent. Instead of creating a lush display, add them to a moss-covered wreath for a unique take on succulent planting. 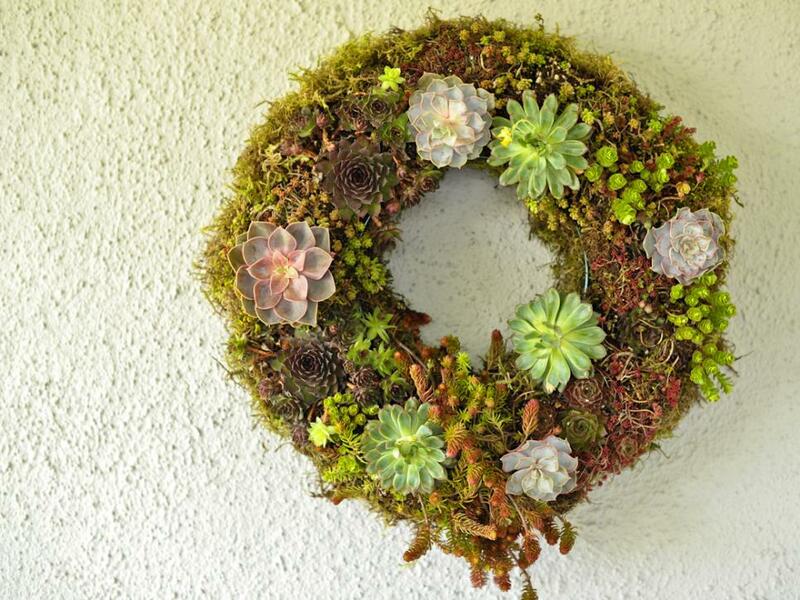 With moss, potting soil and succulents, this wreath is perfect for warm weather and keeps your succulents alive just like a pot would. Bring bright colors and the season's harvest to your front stoop with a simple yet oh-so-intricate wreath such as this one. Although a wreath made of fresh fruit doesn't last as long as a faux one, the impression this wreath will make is worth it. 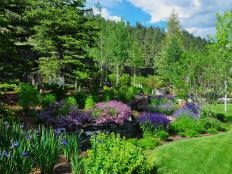 July is the perfect time for backyard bashes. Turn those summer nights into the most unique recycled door decor. 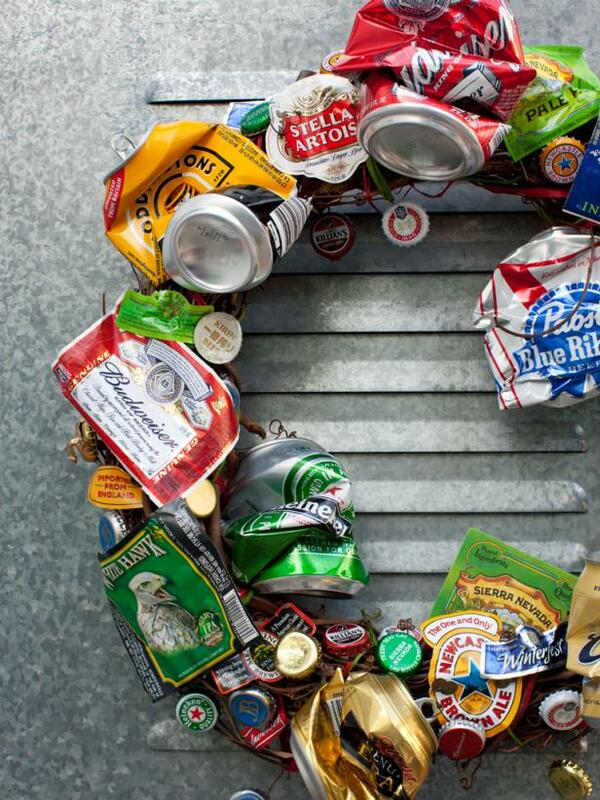 Crushed beer cans and bottle tops may not suit every doorway, but a wreath like this is perfect for a bachelor pad, man cave or a home that loves to have a good time. Social media is great and all, but what about an in-person news feed? 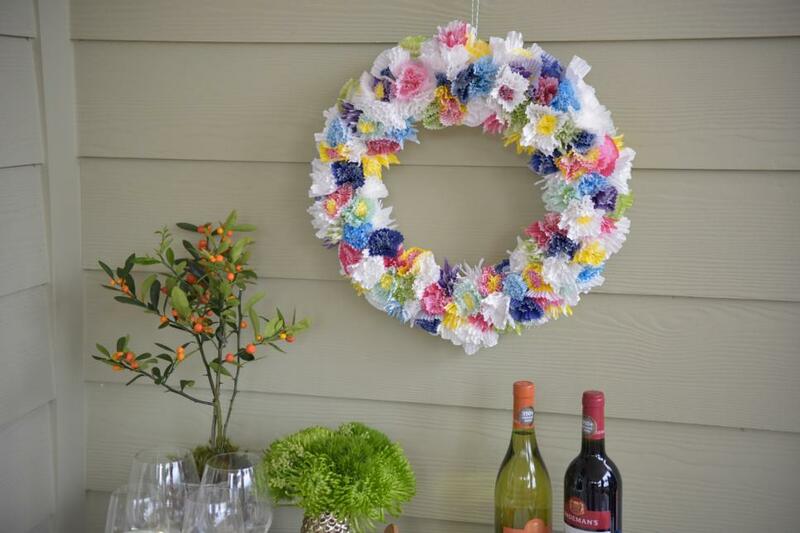 Take all of your favorite summer memories and turn them into a wreath. 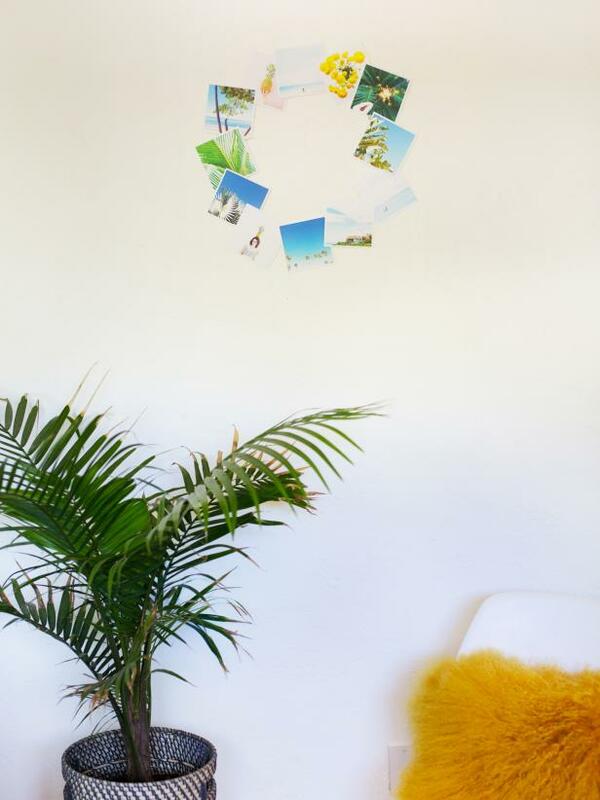 Just layer, glue together, hang up and let all your guests enjoy your favorite memories with you. Although you can buy a premade magnolia wreath, you will often spend a fortune when you can make your own for far less. A classic magnolia wreath is perfect for summertime but can transition into any season, making it an even better decorative decision. Oranges peek out from amongst lush green leaves. Although the rich wood door brings out the best of these hues, this stunning wreath would be gorgeous on any wall or door regardless of the color. Use the bounty of summer to create a customizable loom wreath. Starting with a wood slab, cut out the center, creating the standard wreath shape. Wrap twine or string around the wreath form and insert blooms, greenery, twigs and leaves to polish off this late-summer decor piece. Welcome your guests with a reclaimed masterpiece. 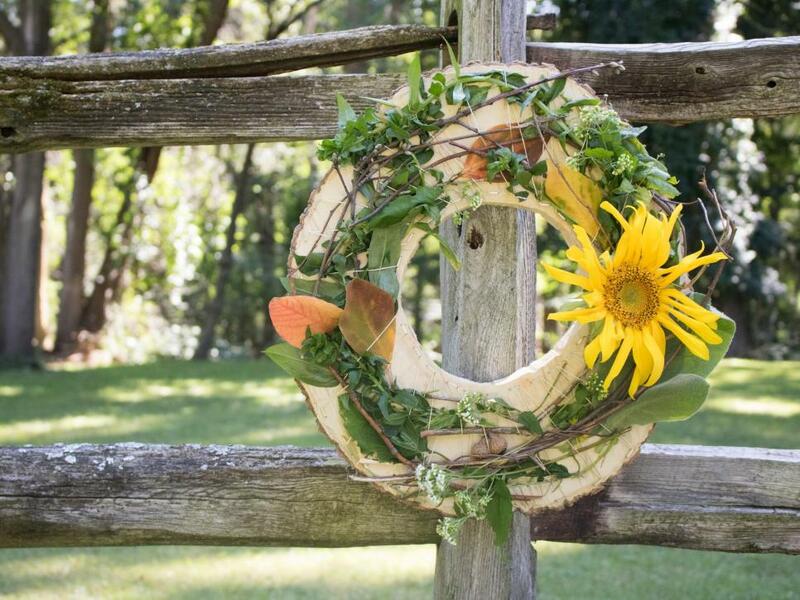 To create, simply attach wood shims and scraps to a wire wreath form using floral wire. 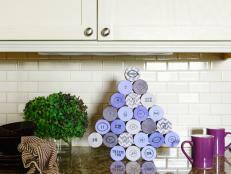 Layer the wood pieces until you have achieved the desired look. 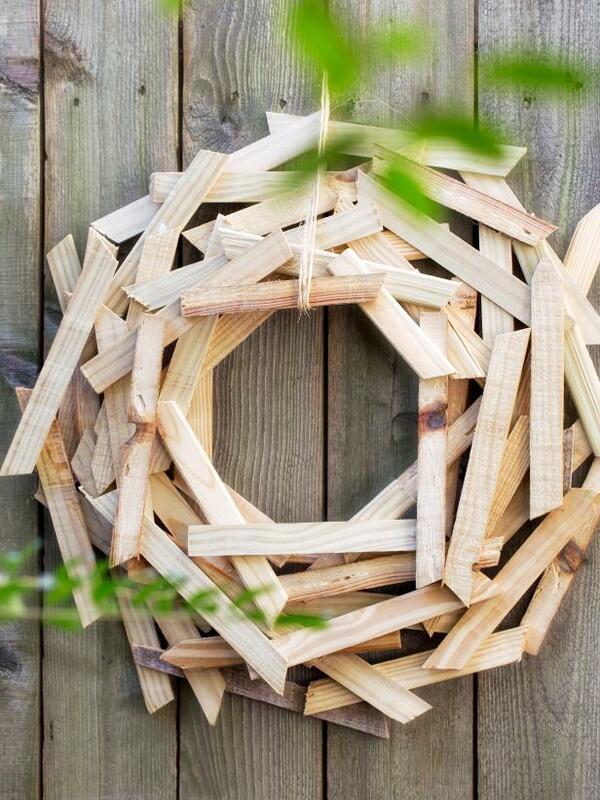 Not only will you create a unique wreath, you will also upcycle those otherwise useless wood scraps. 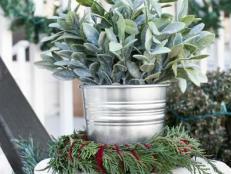 Eucalyptus has quickly become one of the most popular greenery options, especially since it's so affordable. 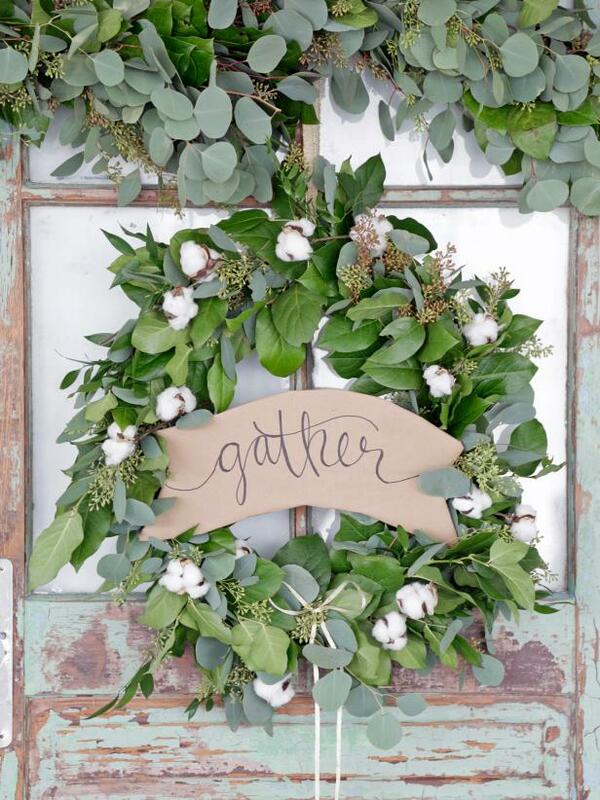 Create a farmhouse-esque scene with the help of this greenery-filled wreath and a welcoming banner. 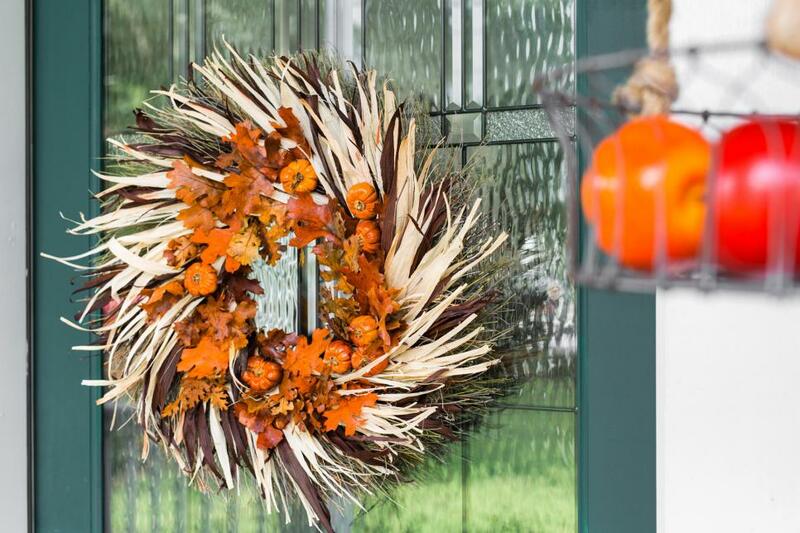 Adorn your front porch in all the feels of early fall with a wreath that is simple and chic. With an unexpected shape and muted yet on-trend hues, this beauty is sure to impress all of your guests. 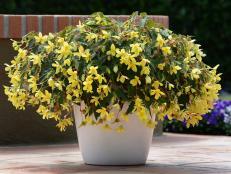 Bring some color to your front porch even as the leaves start to die. 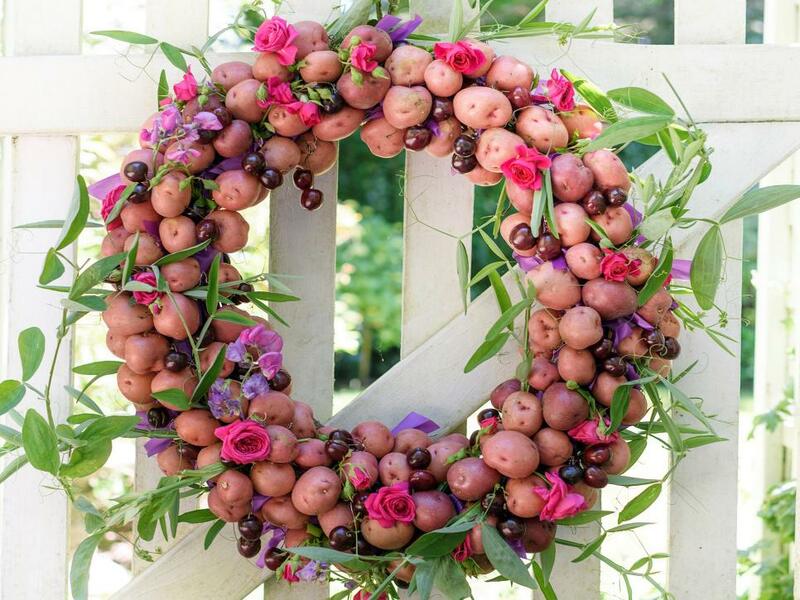 Small red potatoes, bright blossoms and greenery stems adorn this wreath, creating a bright but seasonal display. 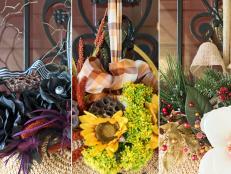 As a new season approaches, your front porch is just begging for a fall-tastic makeover. 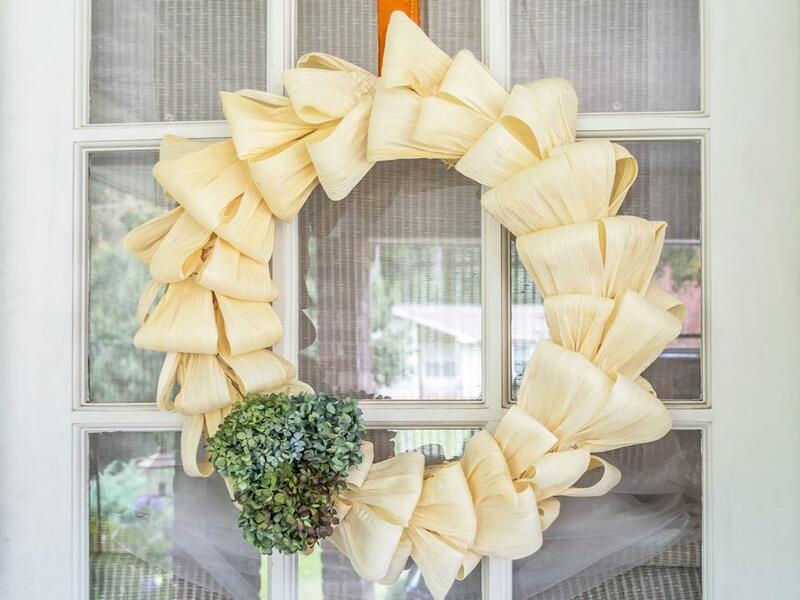 Turn a straw wreath and corn husks into a seasonal delight in a few simple steps. 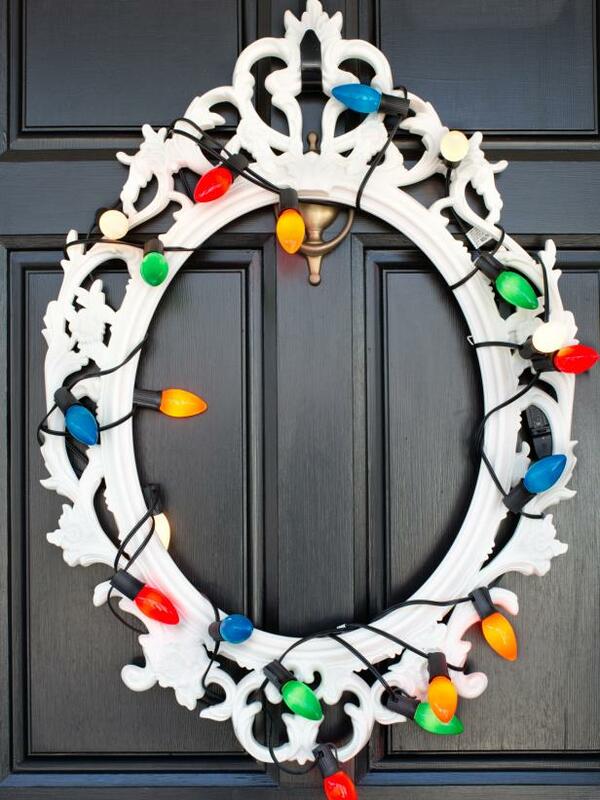 Tired of the typical wreath shape? 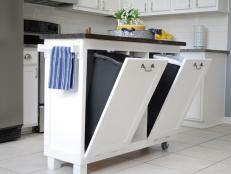 Try something different and use a basket to create a more unique door hanging. 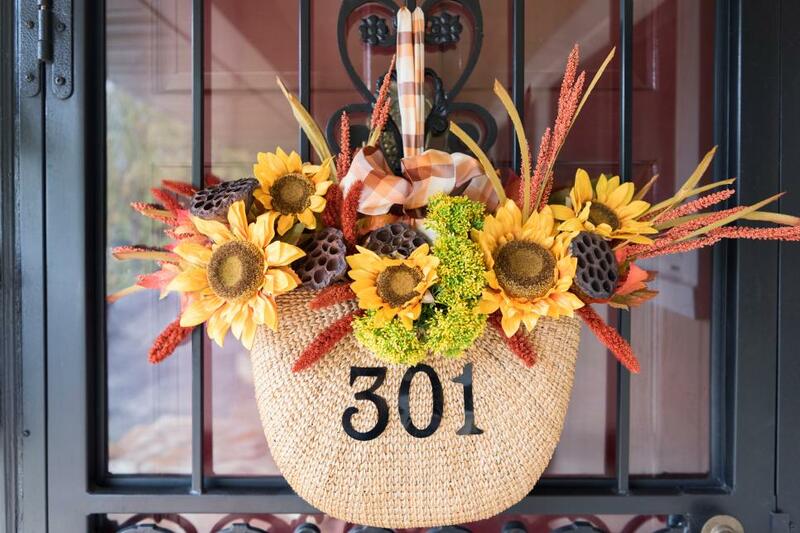 Include sunflowers, dried lotus pods, fall-hued embellishments and a seasonal ribbon for a quintessential fall decoration. Forget the bulky plastic gourds this year and opt for a plethora of putka pods, which look like tiny pumpkins when dried. 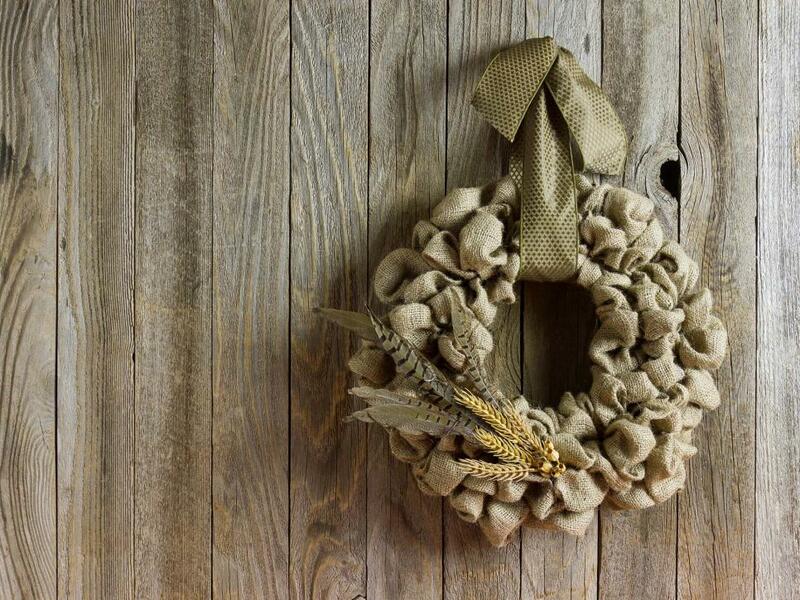 Finish the wreath with a burlap ribbon and hang on your front door. For an added touch of charm, add a small chalkboard sign or hang the wreath on a chalkboard to enhance the seasonal greeting. 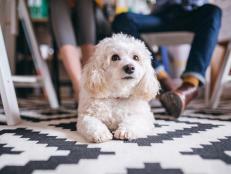 Keep an eye on all your house guests (trick-or-treaters included!) with this googly-eyed wreath. 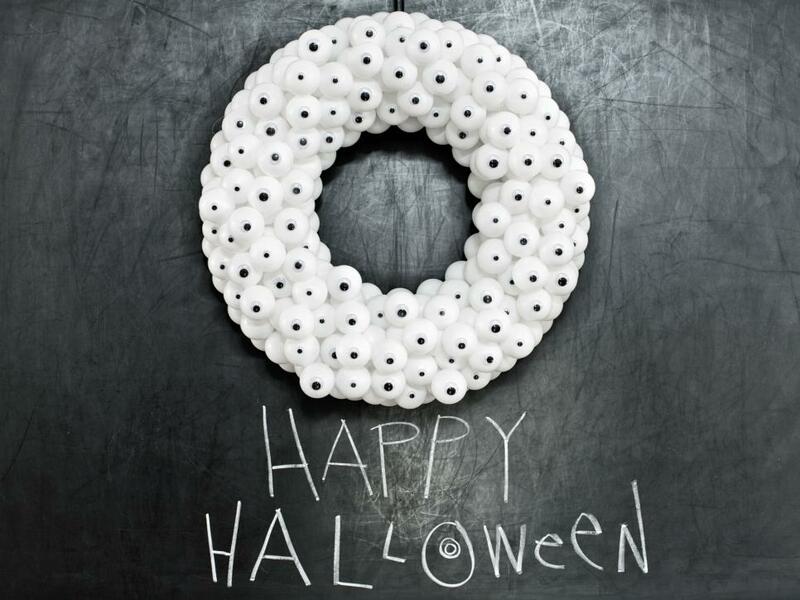 To create, gather several bags of ping pong balls, attach to a wreath form with hot glue and finally, add googly eyes for a slightly spooky but oh-so-cute door hanging. 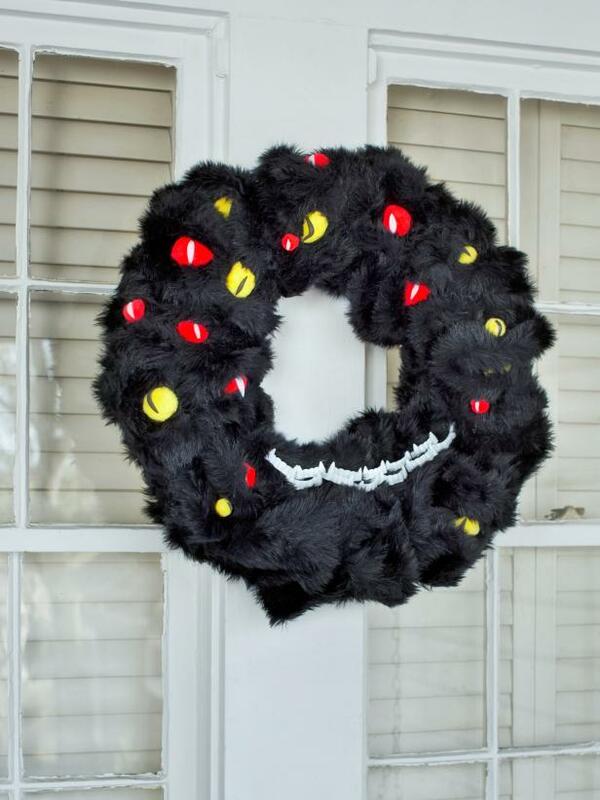 Furry and frightening, this monstrous wreath brings just a touch of scary to your doorway. 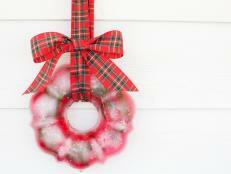 Cover a wreath form with faux fur, securing the ends with T-pins or tape. 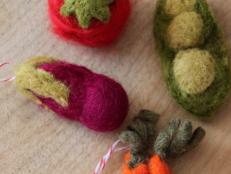 Attach small, assorted balls and vampire teeth to the fur with hot glue. Finally, use black and white pens to add a slit pupil to each of the eyes. 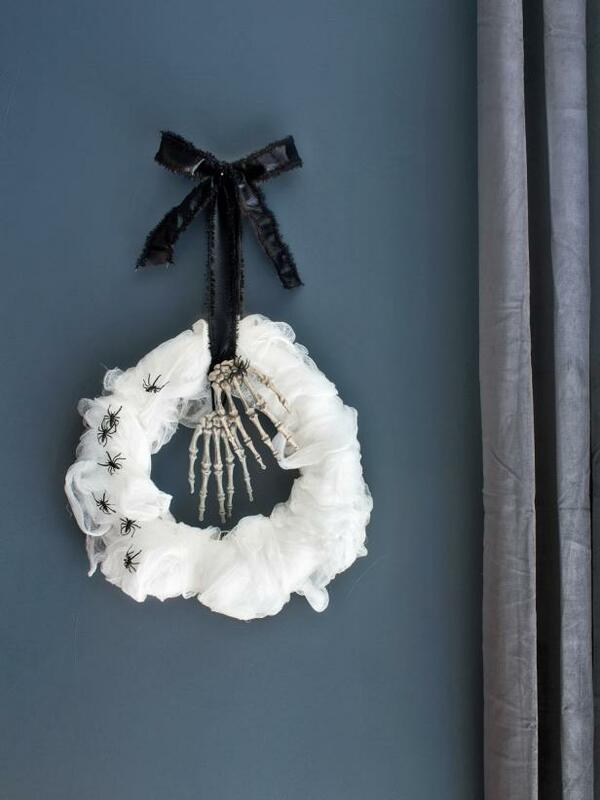 Warning: This wreath may give your arachnophobic friends the heebie-jeebies. Bunched gauze is used to create a spider web look-alike, while plastic spiders are situated throughout to boost the spooky factor. For an added gruesome touch, attach a pair of skeletal hands to the wreath. Dia de los Muertos is a rich, Mexican holiday that comes just days after Halloween. Go from spooky monsters and scary ghosts to beautifully bold decor that celebrates and remembers the loved ones that have passed. 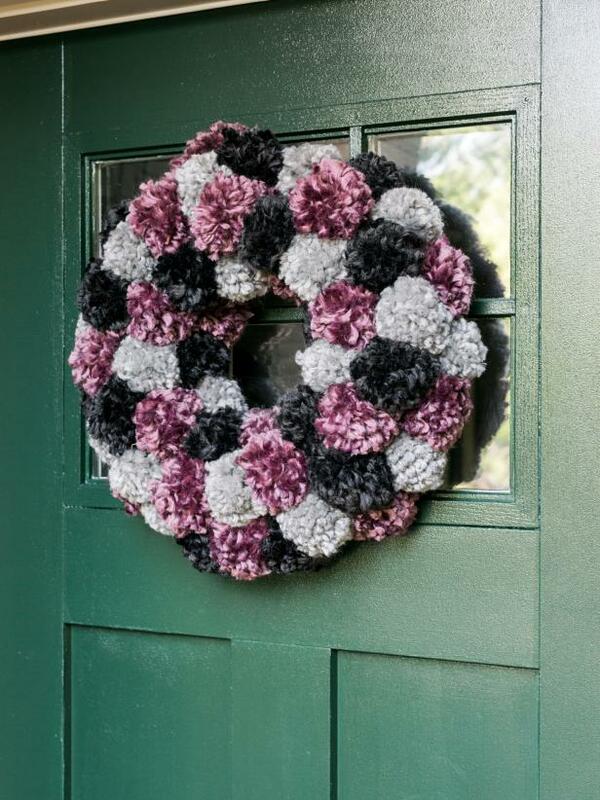 Your door should have a vibrant wreath to celebrate. You can never have enough Halloween decor, especially that of the DIY variety. 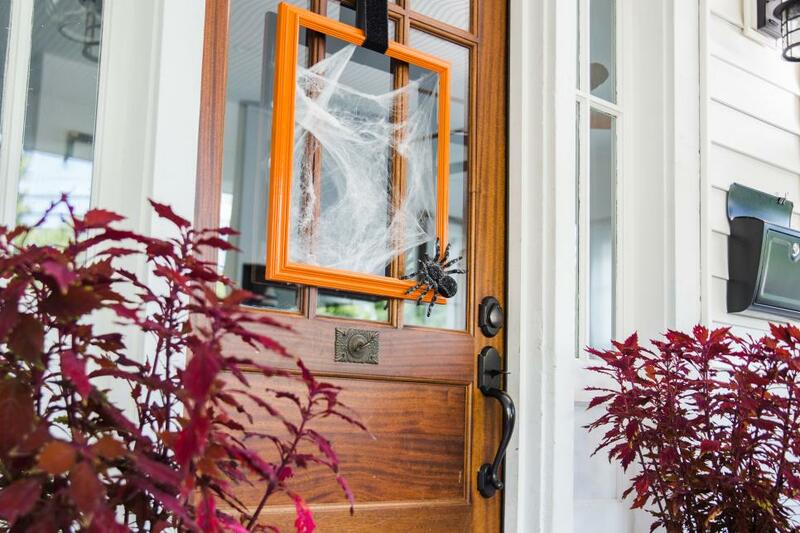 This wreath was crafted from an upcycled picture frame, some faux spider web and of course, a super-furry creepy crawly—the essentials of the Halloween season. Greet your guests with a warm mix of dried natural materials. With a wide range of options to choose from, keep it easy and elegant with light and dark corn husks, mini pumpkins and dried leaves. 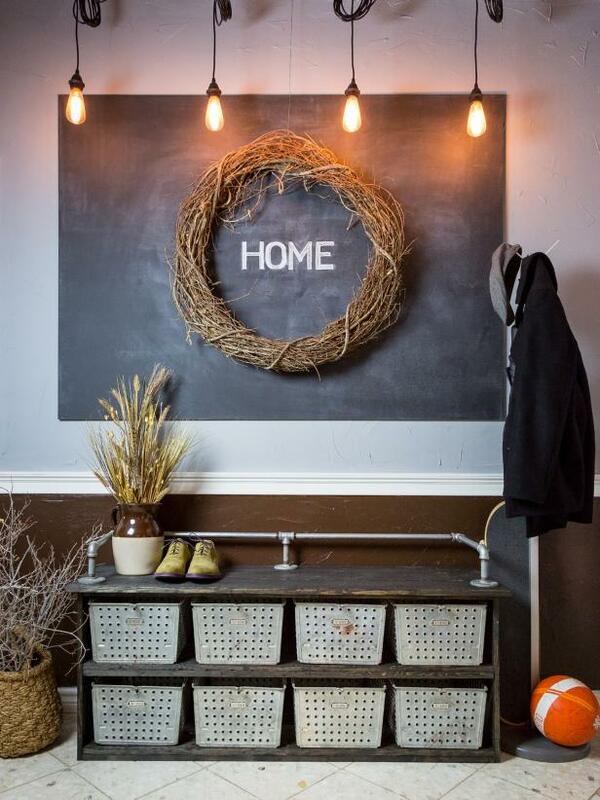 Boost your front door's style with a DIY rustic-industrial wreath. 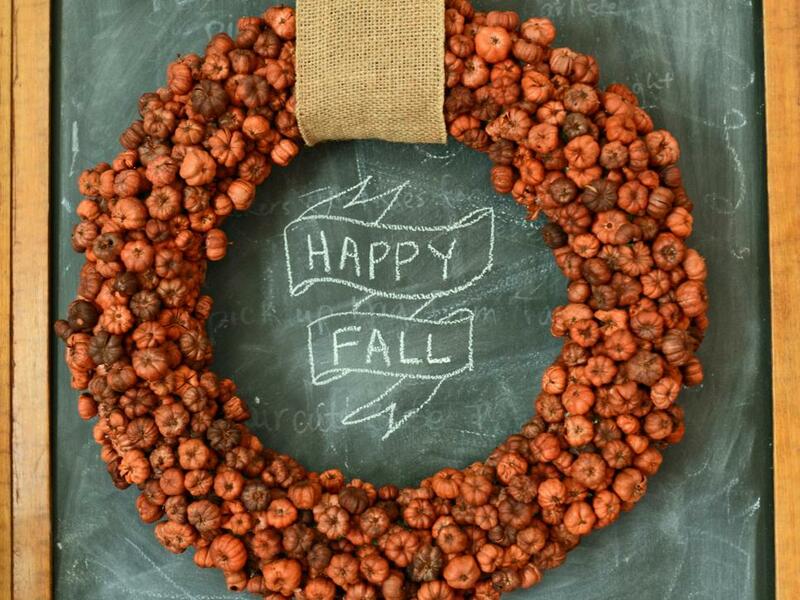 A basic grapevine wreath form is used over a chalkboard to create a simple yet elegant feature. 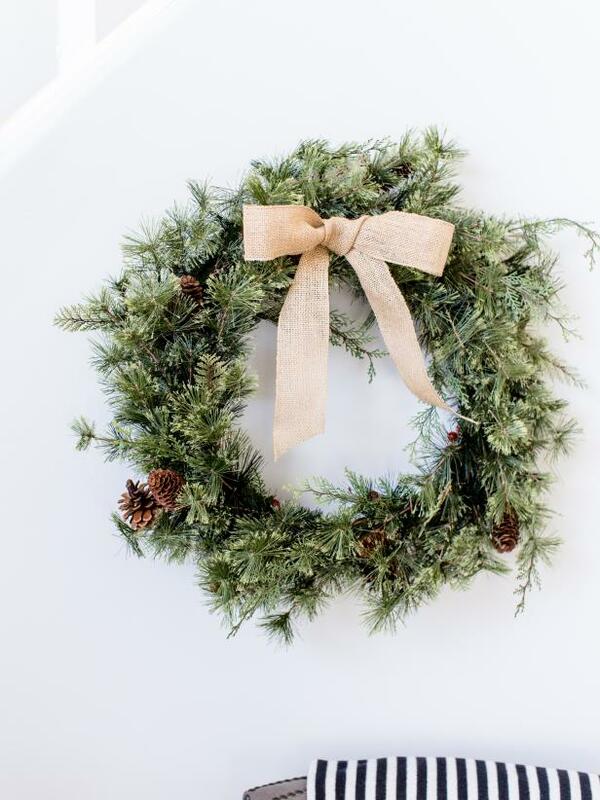 Hang it on your front door for a perfectly understated wreath. 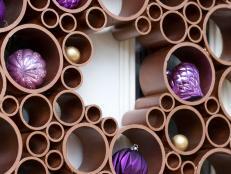 Nothing says the start of the holiday season and cooler temps like decor filled with deep, rich hues. This wreath, created with rouched burlap and faux feathers, will be a welcoming sight for your guests and will set the tone for the start of the coziest season of all. Bright red berries and lush evergreen boughs create a stunning, Christmassy door hanging. A wreath like this can carry you through to the new year thanks to its understated holiday cheer, while still looking festive enough to welcome Santa. Reinvent empty frames as illuminated sculptures with the addition of colored lights. 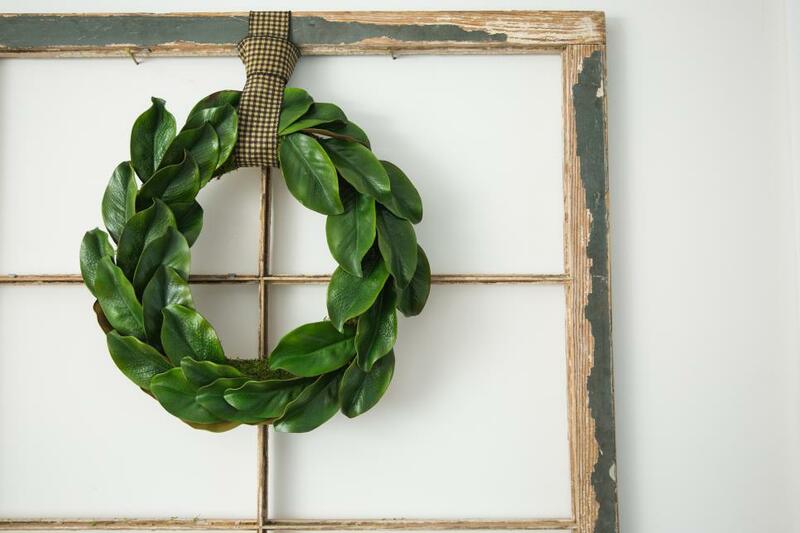 Not only is this DIY a playful alternative to a traditional wreath, it's a great way to upcycle an unused frame of any kind. 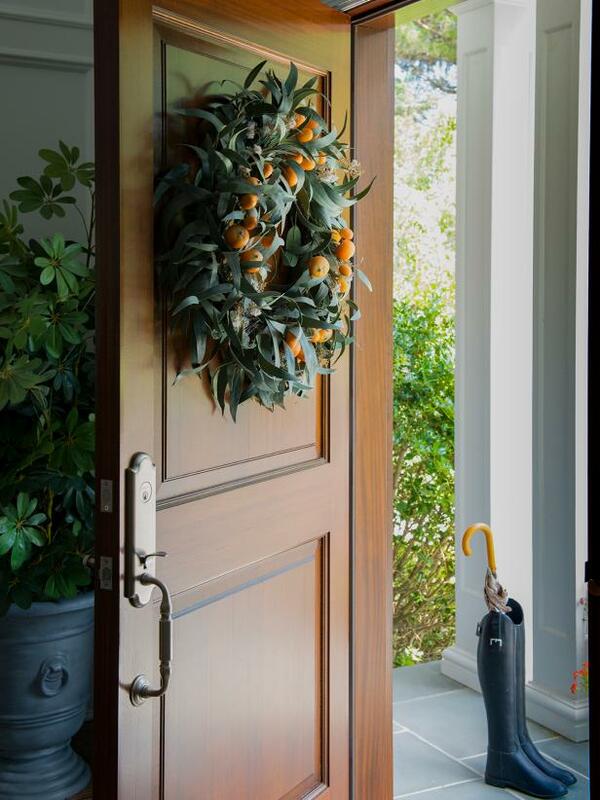 Bring some simplicity to your entryway for the holiday season. 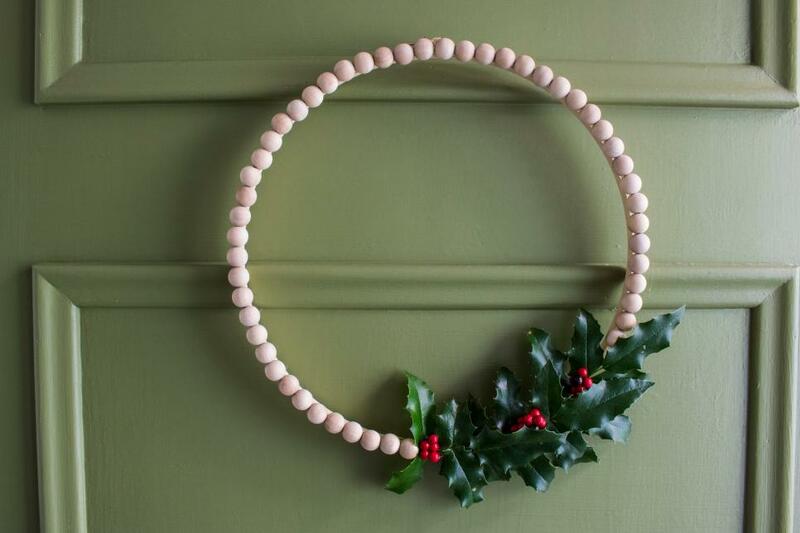 This modest wood hoop wreath, inspired by Scandinavian charm, showcases the colors and foliage of the season without taking over the entire doorway. The simplest of wreaths is often the most beautiful. Complete with greenery, pinecones and finished with a lovely burlap ribbon, this wreath is classic Christmastime decor done right. Try something different for the holidays. 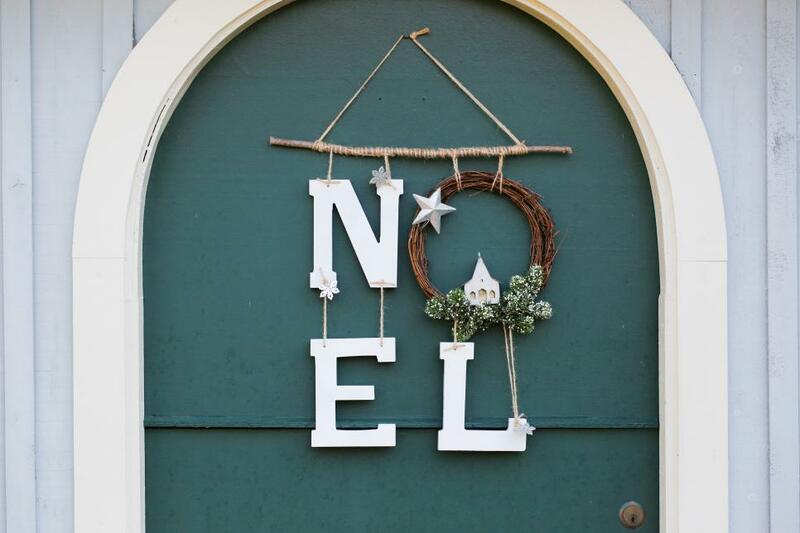 This door decor features a grapevine wreath that acts as the "O" in the seasonal greeting with a finishing touch of a tiny, idyllic church that sits atop the wreath for an added Christmassy touch. Go above and beyond for the holiday season. Create a visually stunning front entryway by trimming the doorway with an evergreen garland, coordinating mini Christmas trees and to boot, an eye-catching wreath.